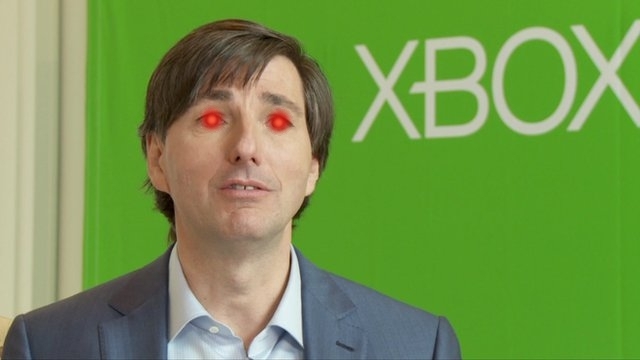 In an interview with GTTV’s Geoff Keighly, Microsoft’s Don Mattrick was asked about how exactly they’ll court people into getting an Xbox One should they have no stable internet connection (or any for that matter). He replied with, “Fortunately we have a product for people who aren’t able to get some form of content. It’s called Xbox 360.” In other words, if you’re not ready to sign in every day at the parole offices of Xbox One, well then you’re not ready for Xbox One. Stay on the Xbox 360. Mattrick probably won’t get any flak for this from his staff, but this is just a boneheaded thing to say. Right now, while Microsoft is still poised to sell Xbox 360 consoles, they’re primary focus is to sell as many Xbox One consoles as possible at launch. His comments also smack of his whole “Backwards” comment he made. I mean, it’s okay to tell your consumers to get an older console if they’re more comfortable getting that one, like Nintendo and Sony have done. But the delivery of his message is just arrogant. They say that for each console manufacturer, the third consoles are the ones that see the company falter due to an overabundance of arrogance. It happened with the Gamecube (though it’s not the third). It happened with Sony and the early life of the PS3. And now it’s happening to Microsoft. I guess companies never learn. This entry was posted in E3 2013, Gaming News and tagged 360, Always Online, backwards, Don Mattrick, E3, E3 2013, internet, Microsoft, Xbox, xbox 360, Xbox One on June 12, 2013 by Steven T..